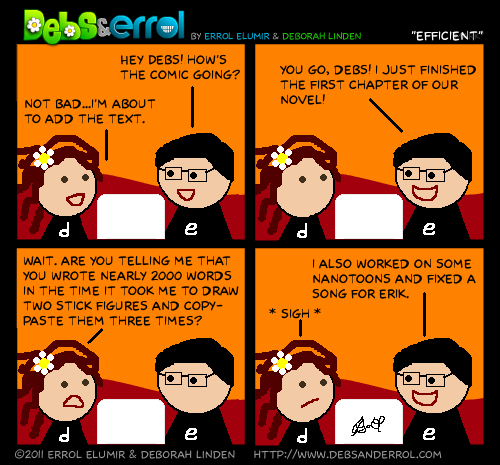 Debs: You’d think this kind of speedy output from Errol wouldn’t surprise me anymore…. Oh Errol, it’s not that I don’t like your comics, her’s are just funnier! And… drawn in MSPaint, which makes the Reddit part of mind happy. Okay, just making sure :P.
And LOL Errol! How would that be perfect? To NaNo Chat would be so much less interesting….